Today marks the 33rd anniversary of Les Misérables‘ opening night at the Barbican Centre. The world’s longest-running musical opened on 8 October 1985 and since, it’s been the springboard for many famous actors – such as Carrie Hope Fletcher, Michael Ball, Samantha Barks to name but a few. Not only that, many established and brilliant actors have appeared in the infamous musical. And today, we’re going to look at the famous faces of our main protagonist, our noble thief: Jean Valjean. Though we’ve seen the likes of Hugh Jackman take on the moniker 24601, we’re going to focus on those who have graced the West End stage as our tragic hero. So here are five of our favourite, and most famous, Jean Valjeans. The Tony Award-winning actor may now appear on your TV screen to advertise cough sweets, but he’s probably most famous for his epic appearance in the 25th Anniversary Concert of Les Mis. During his performance, he sang Bring Him Home with three other celebrated Jean Valjeans – known as the Valjeans Quartet – and their performance was later re-recorded and sold as a charitable CD. Alfie then went on to star in the West End production in 2011 and reprised the role in the 2015 Broadway revival. Prolific musical theatre actor, Killian Donnelly, has appeared in Les Mis not just once, not twice, but three incredible times. True, he wasn’t Valjean each time but it’s fair to say that he rose within the ranks. Though he had been in the swing in 2008, he managed to sneak in a few performances as the lead during the 2009/10 season when both the actor and understudy for Valjean couldn’t make it onto the stage. He then took the role of Enjolras before ending his initial run in 2011. After a successful career in the West End, Killian returned to the Queen’s Theatre to play Valjean on a more official basis. He played the tortured soul on the London stage for a year before announcing that he will be taking the character on tour across the UK. Colm Wilkinson was the go-to leading man in the ’80s. So much so, his superhero name would be The Originator. The famed tenor is a seasoned solo artist as well as musical theatre performer but is probably best known for being the first ever Jean Valjean. In 1985, he not only took on the now coveted role of Monsieur Madeleine, he was also the very first Phantom in The Phantom Of The Opera. Colm is still one of the most beloved actors to have played the lead role, so much so he appeared in both the 10th and 25-anniversary concerts. Like Killian, Ramin has appeared in Les Mis multiple times. Through his tenure, he’s portrayed Jean Valjean, Enjolras, and Marius. He’s also one of the more well-travelled of our Valjeans as he’s been in the West End, Broadway, and Toronto productions. And like Colm, he’s also played the Phantom in The Phantom Of The Opera… as well as playing Raoul. In 1998, John Owen-Jones became the youngest person in the West End to play the powerhouse character. At the tender age of 26, he graduated from Enjorlas to Valjean – a role he would return to multiple times throughout his career. As well as many revisits to the role on the London stage, John was also part of the formerly mentioned Valjean Quartet – with Alfie Boe, Colm Wilkinson, and Simon Bowmen – at the Royal Variety Performance in 2010. 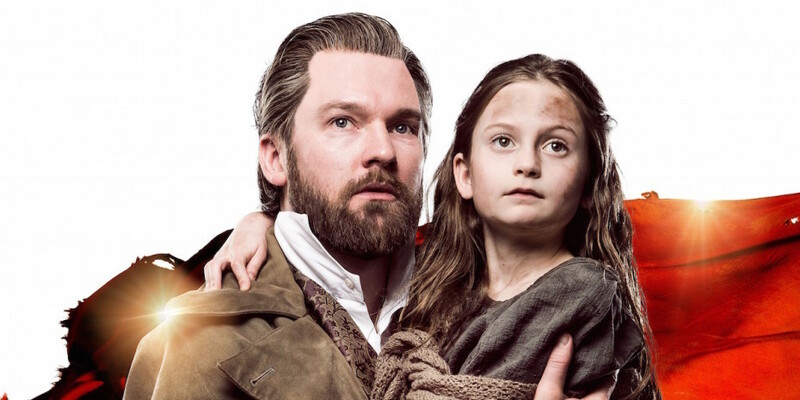 We’ve seen dozens of remarkable actors take on this sensational role throughout the years and Dean Chisnall, who is currently starring in Les Mis, is no exception. If you’ve only seen Hugh Jackman sing One Day More, then what are you waiting for? Get yourself down to the Queen’s Theatre and see the longest-running show in the world live!